Plaza at Pearl City is a 107,000 square foot assisted living facility in Pearl City, HI. 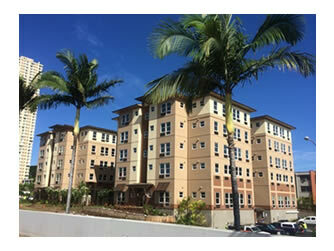 The state-of-the-art, five-story facility creates 158 units for the elderly community in central Oahu. The building structure is four levels of load-bearing cold-formed steel wall framing on a single level of concrete podium. 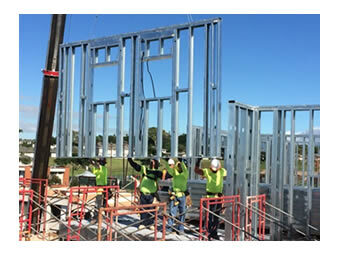 The cold-formed steel walls are used in concert with cold-formed steel joist framing and SURE-BOARD® laminated shear panels, all manufactured by CEMCO and supplied by GW Killebrew-AMS, the Honolulu branch of Allied Building Services. 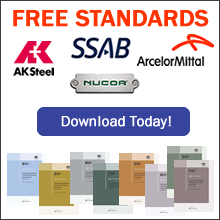 Other innovative products include ATS: Anchor Tiedown System by Simpson Strong-Tie and Structo-Crete® structural concrete floor panels by USG. These products were installed by Group Builders, with experience and expertise in load-bearing mid-rise construction. Group Builders’ project scope ranges from the prefabrication of wall panels at the off-site panelization yard, installation of panels and joist framing, sheathing, roof truss framing, installation of ATS tiedowns and SURE-BOARD®, drywall and exterior EIFS finishes, and acoustic ceilings. Group Builders delivered the project to the client on time and within budget. 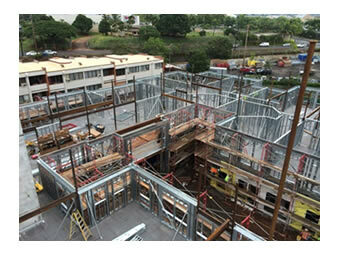 The developer, MW Group, selected a load-bearing cold-formed steel structure for its fourth Plaza assisted living facility on Oahu. This structural system had not been used on the company’s previous Plaza projects. Using the load-bearing cold-formed steel system in combination with a framed floor system with Structo-Crete® panels, the builder was able to reduce the dead load of the structure compared to traditional building materials while maintaining a noncombustible classification up to the roof line. There was a stringent quality tolerance on the wall panels for the project to ensure precision in the framed structure. There were concrete shafts that needed to match the settlement with the framed walls along with structural steel members in select areas of the building, putting greater emphasis on panelization consistency. Group Builders chose CEMCO to supply the cold-formed steel members because of the company’s reputation for high-quality manufacturing and ability to meet a demanding construction schedule. SURE-BOARD® shear panels allowed the designer to use lighter elements for lateral load resistance. The Simpson Strong-Tie ATS: Anchor Tiedown System provided an easy-to-install, high-capacity anchor restraint system with design flexibility for this multi-story building.